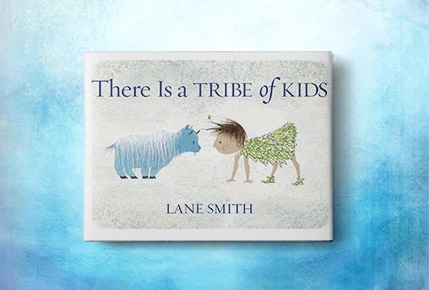 NEXT ARTICLERemember All the Feels with "There Is a Tribe of Kids"
Whatever, tea and fireplaces. As far as we’re concerned, the best time of year for reading is...summer (when there’s absolutely no pressure to take on anything too heady). Here, ten summer 2016 books we can’t wait to crack open--all by amazing women writers. Liane Moriarty--author of The Husband’s Secret and Big Little Lies--was basically born to write summer fiction. Her upcoming novel, about a years-long friendship torn apart by one terrible barbecue, is sure to inspire the same compulsive readability as her earlier works. This first novel is getting quite the pre-publication buzz. And it’s easy to see why--it’s a fictional retelling of the Charles Manson murders, from the perspective of one of the young girls who was brought into his circle. In the span of four months in 2012, comedian Tig Notaro suffered a debilitating intestinal disease, experienced her mother’s sudden death and was diagnosed with bilateral breast cancer. And yet…she somehow turned the whole thing into heart-wrenching comedy. In this upcoming memoir, Notaro details the whirlwind year--and how she emerged even stronger than before. It’s the early 1990s. Combat boots reign supreme, Kurt Cobain is everything and one small Pennsylvania town is torn asunder when a popular athlete turns up dead. (And everyone’s keen to blame the flannel-clad new girl.) This nostalgic romp is already getting pegged as the mystery of the season. This is summer’s official heavy-hitter. The Pulitzer Prize-winning author of The Shipping News and Brokeback Mountain is back with a 700-page novel about 17th-century French Canadian woodcutters--and how their ecological actions affect generations to come. And now for something just a hair lighter. This fast-paced novel is a modern retelling of Jane Austen’s Emma--but set in Singapore and starring the most vibrantly flippant heroine since Cher Horowitz. If you think navigating adolescence and sexuality was tough when you were growing up, you should try talking to today’s teenagers. In this eye-opening non-fiction work, Orenstein takes on the pressures confronting modern girls, from the nuances of hookup culture to the politics of “yes means yes” on college campuses. In need of a good, British psychological thriller? This new novel from the author of In a Dark, Dark Wood follows a young journalist who witnesses a grisly murder while on a press trip for a new luxury cruise line. The only problem? Every passenger on the ship is accounted for.